Although I still prefer black (everyone knows I love black paint! 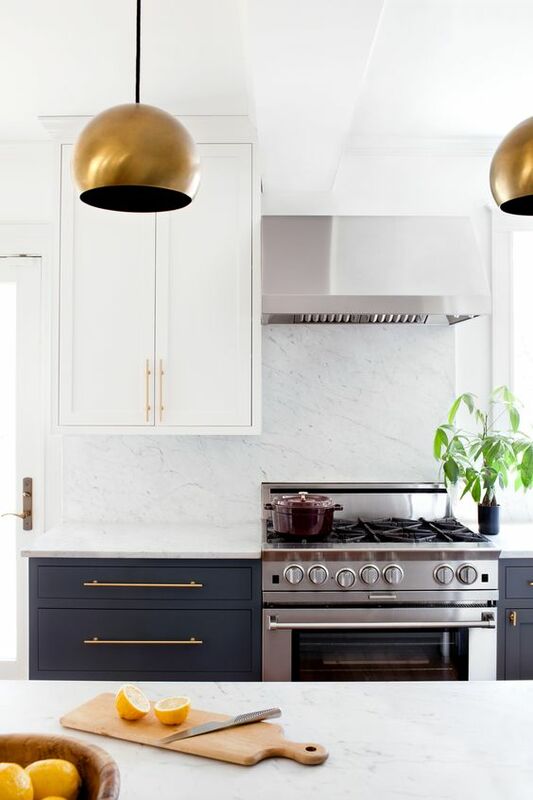 ), navy & brass is really in right now for a kitchen! I did use navy & brass in another room.....they look great together. It is popular to pair with crisp white, marble, and/or wood. 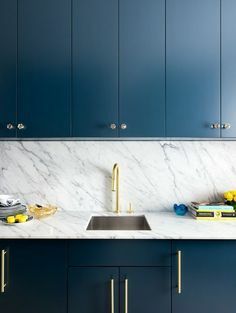 Do you like navy in a kitchen?